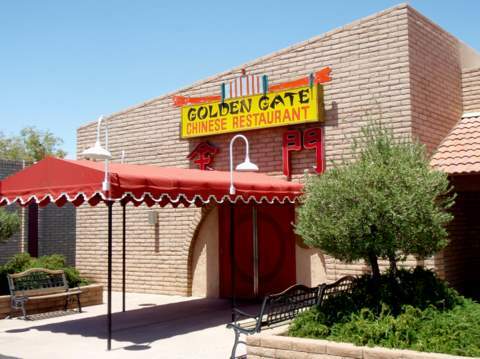 What's the Golden Gate Chinese Restaurant about? Mesa has lots of great Oriental food places. 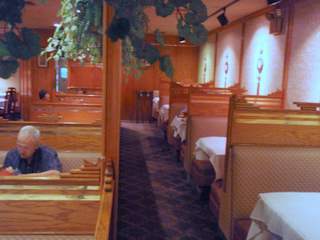 You can try a fun buffet in east Mesa like the China City Super Buffet. Buffets are good to try out a lot of different foods to discover what's good. Buffets are exciting with boisterous crowds and kids. Then sometimes it’s nice to try something different and calm like this place. Order what you want and have someone bring it to you. So you can talk and enjoy your company. And hear what they are say to you. This restaurant is a lot more intimate than a buffet so you can talk without having to jump up and rush around for another plate. And best of all you can enjoy your guests. So this is a perfect place for a business lunch. Or just talking with your friends and enjoying the peaceful serenity of a sit-down restaurant. Maybe it is just me, but you may notice that the food seems to be a notch better than buffet food. The reason may be the food is freshly prepared just for you. We like to get an appetizer called the Happy Plate. When we were there it was served in a rotating metal gizmo that had a flame in the middle and it was surrounded by egg rolls, fried shrimp, fried wanton with cream cheese filling, garlic chicken wing, and BBQ chicken on a stick. You just spin the thing around and sample some delicious food. Then you order plates of food that usually get shared. So enjoy the moment with some hot tea with your guest. We have been going here for about 20 years and it has always been a consistently good experience. 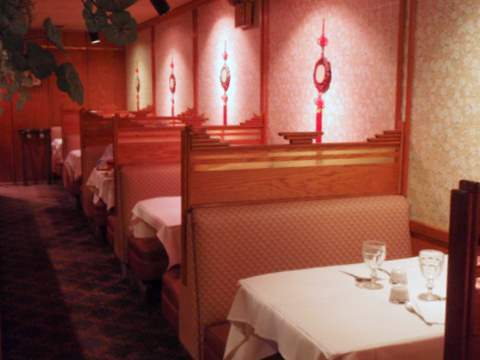 It has a quaint yet exotic China food atmosphere. And the snappy friendly service is efficient, especially if you have to dash back to work after lunch. They serve lunch from 11:30 to 3 Monday through Saturday. It can get packed. The lunch menu is the best deal, and most everything was under $10 dollars. 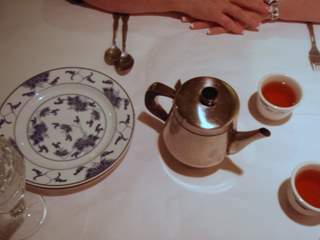 Their lunch includes hot tea, soup, fried rice and is served on nicely prepared tables. Then when you are finished there is the Fortune cookie! Just like in the states, there are lots of different styles of American food (think southwestern, New England, BBQ etc.) There are also many different regional cooking styles in China too. A few of the Chinese styles of food found here are grouped into MANDARIN (Northern Chinese), SZECHWAN (Central Chinese) and CANTONESE (Southern Chinese). So try out some fine Mandarin & Szechuan cuisine here! The lunch and dinner menus are full of good things to eat. Where is the Golden Gate Chinese Restaurant? They are located on the north side of Baseline right by the Price Freeway (101) and near the Superstition (60) so you can buzz in for a quick lunch break from work.